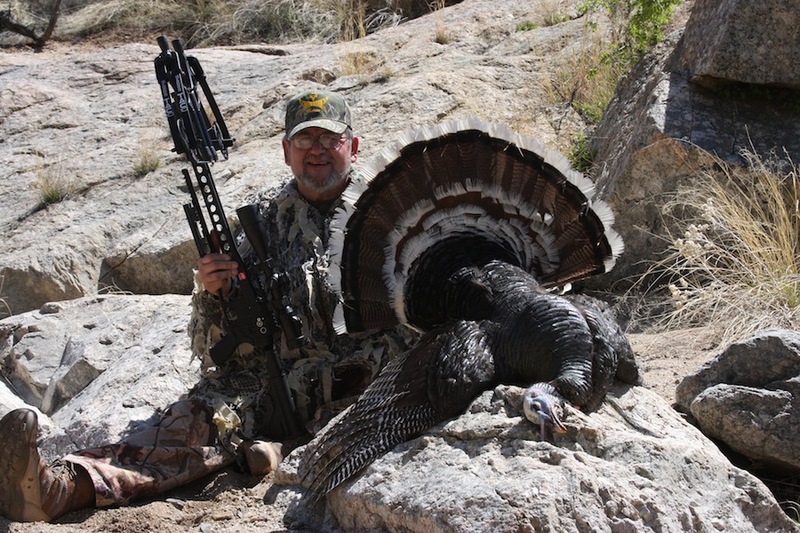 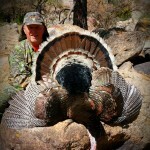 Arizona now offers some great Gould’s Turkey hunting. 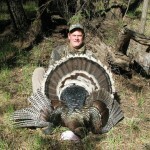 Our Arizona outfitter is located in the heart of all the units that now offer the Gould’s turkey hunts. 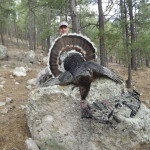 For the serious turkey hunter that wants to stay in the states to harvest his Gould’s we can assist you with the draw process, give us a call and we will help you in any way we can. 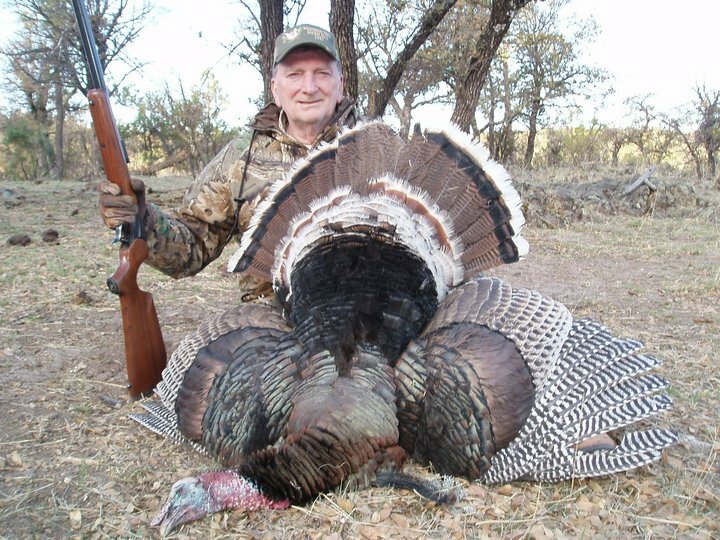 The Gould’s Wild Turkey is the largest of the 5 subspecies and resembles the Merriam’s Turkey. 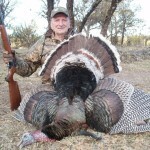 They have longer legs, larger feet and larger center tail feathers than any of the other Wild Turkey subspecies in North America. 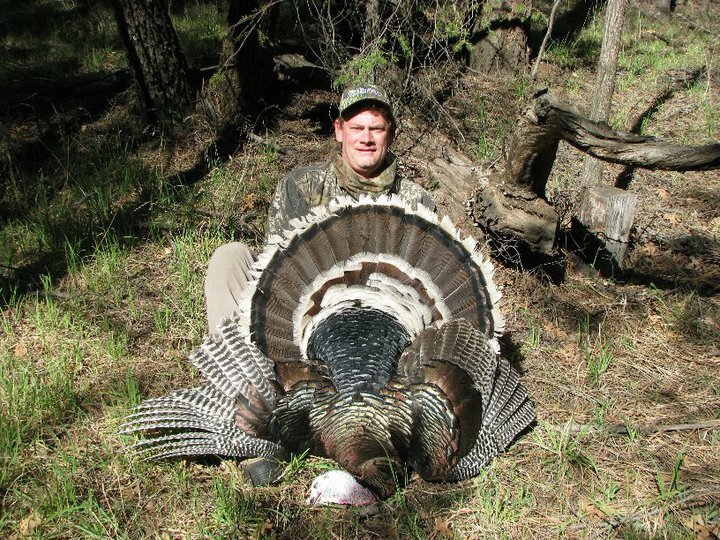 Gould’s differ by having distinctive white tips on the tail feathers and tail rump coverts which usually separate to show an “eyelash” appearance. 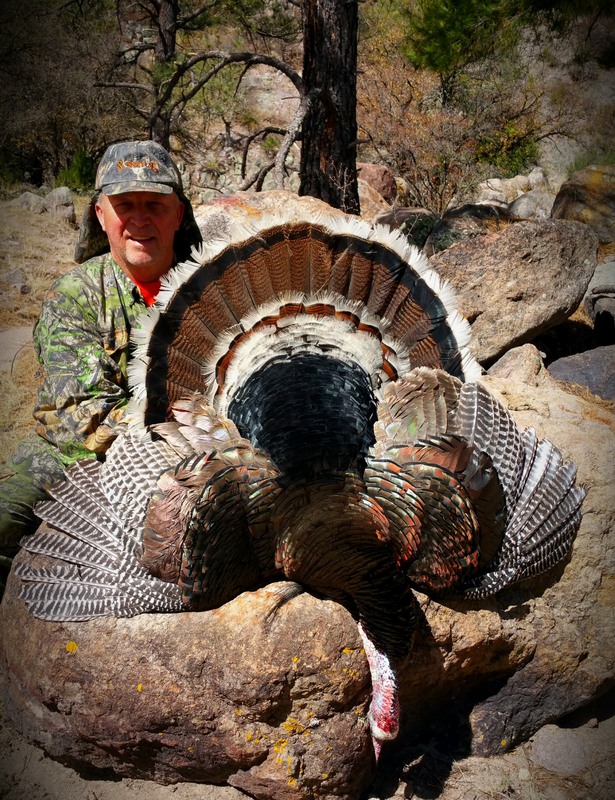 Lower back and rump feathers have copper and greenish-golden reflections, not like the faintly iridescent velvety black found on the Merriam’s. 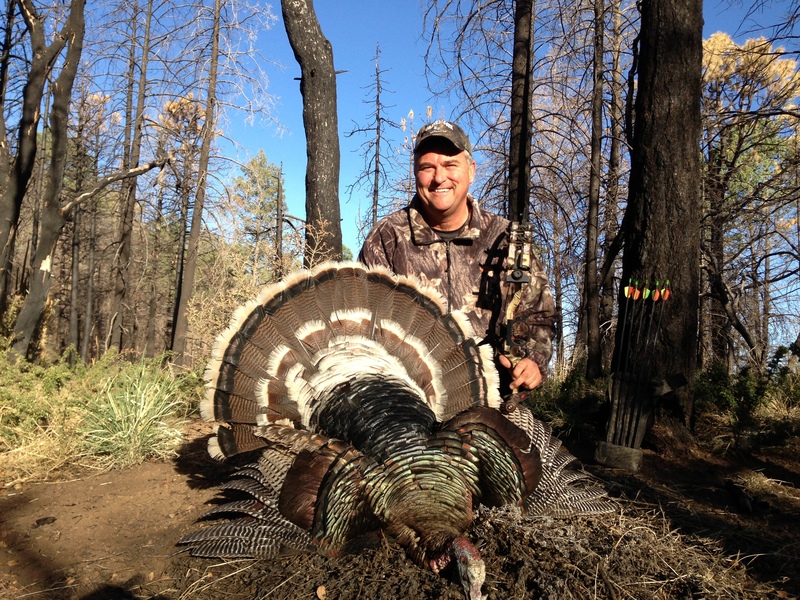 Gould’s body plumage is said to be somewhat blue-green in coloration. 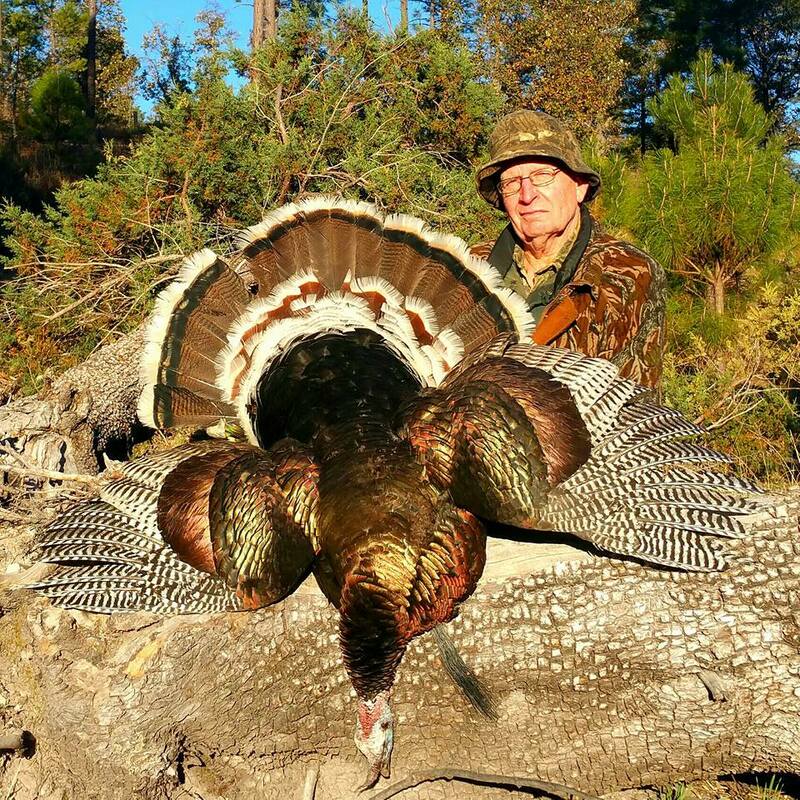 While hunting with our Outfitter you will be hunting on ranches that are highly managed year round totaling over 80,000 acres. 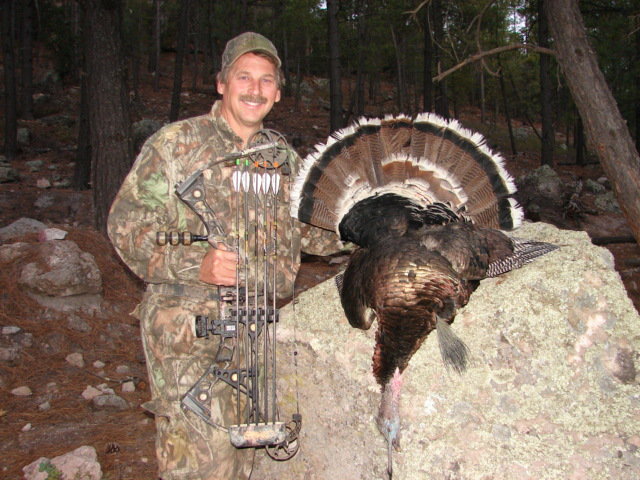 For the past 6 years they have had a 100% success rate on all our Gould’s Turkey hunts regardless of the weapon used. 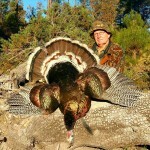 So if you’re looking to finish your royal or world slam contact us to reserve your Gould’s turkey hunting experience. 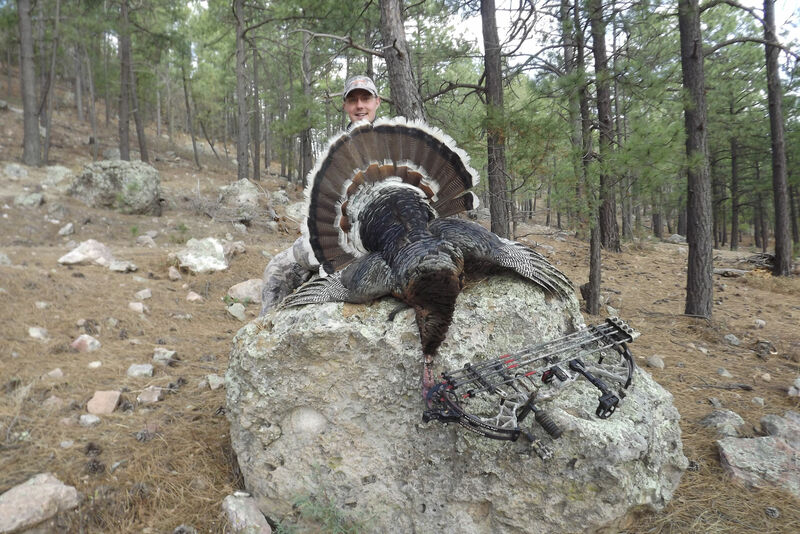 Please Note: This hunt requires that you draw a lottery tag. 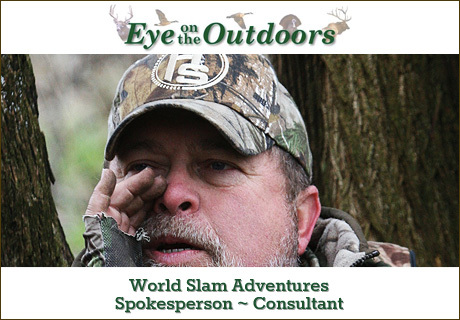 We will assist you in applying for the tag, applications are sent in the Fall of the year before.